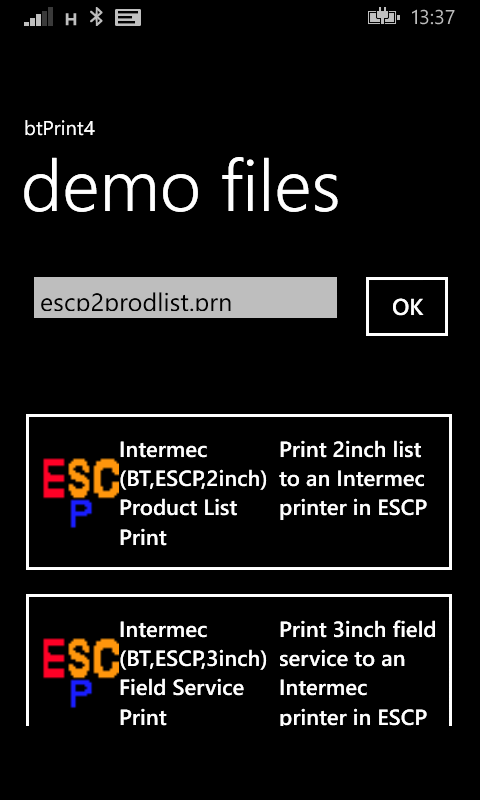 This is the description of my btPrint demo app to print demo files to portable bluetooth label/receipt printers. 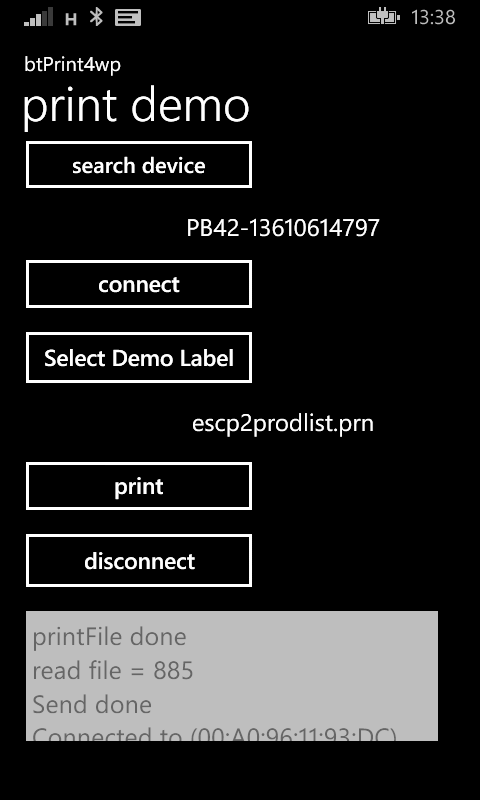 I already did the same app for android and now wanted to do the same for windows phone 8. 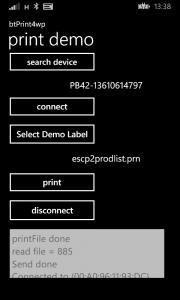 The app starts with the main screen where you select a bluetooth printer, connect, select a demo file and let it print. 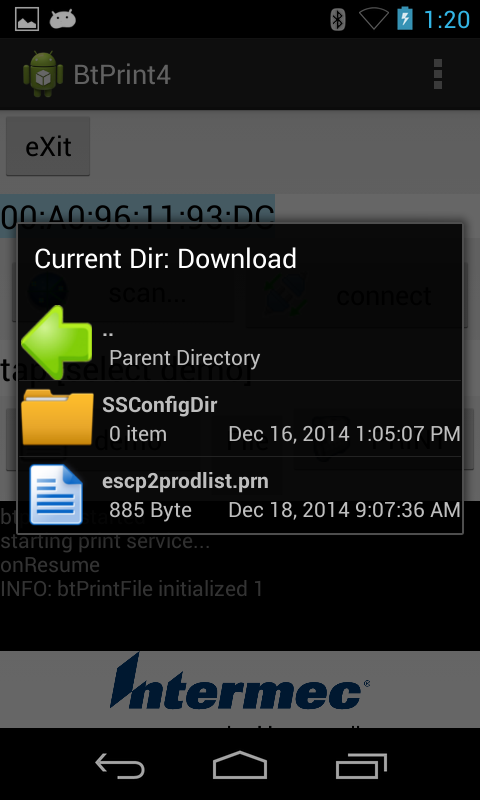 This is my first Android project and I had to learn how to get an Android activity working. I am a Windows Mobile C# developer and had to learn that you have to do many handwritten code in compare to what Visual Studio for SmartDevice development does automatically. 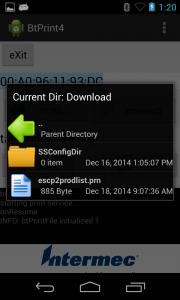 An Android activity consists of many, many files with references to each other. Fortunately an IDE helps you creating and finding all the files and references. I started with Eclipse and ADT but went over to use Android Studio. Eclipse showed very strange behaving when designing the GUI of my activities. The UI has an EditText holding the BT MAC address and a TextView to hold the demo data reference. Buttons for BT discovery, Connect/Disconnect, Demo select and a Print button. 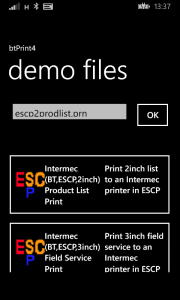 There are two list activities (separate windows or forms): the BT device list and a demo data list. The BT MAC address is filled either manually or by selecting a BT device from the list.